Hanna Simon entered EUCLID’s MDIA program under the provision of Eritrea’s Participation and therefore as a government-sponsored student. Previously, she had successfully served as Eritrea’s ambassador to France and the European Institutions. After completing her program, she was reappointed by her government as Ambassador to France and Permanent Delegate to UNESCO. A diplomat of great experience and distinguished service, she is also a EUCLID faculty member teaching on the DIP-411 course. 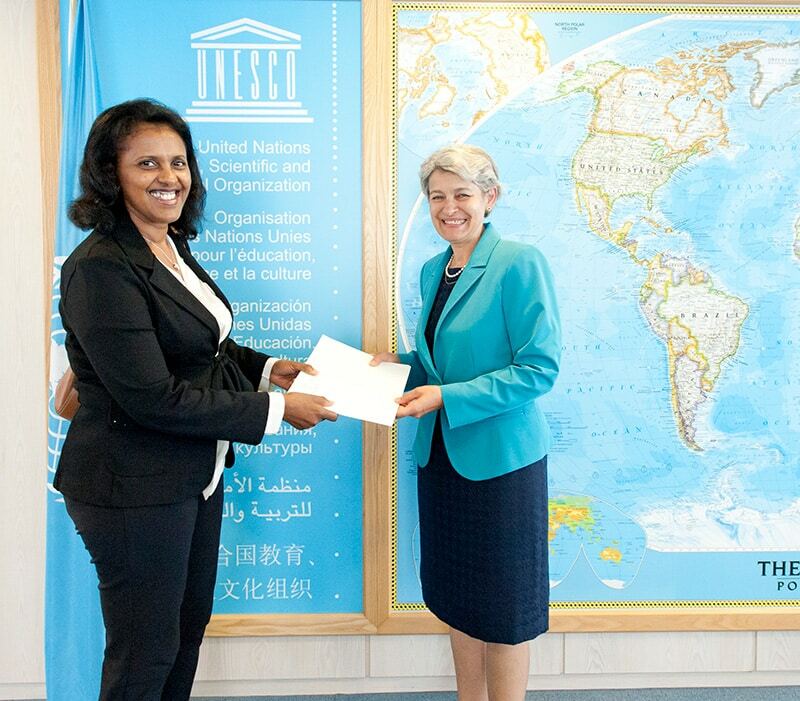 Photo: Ambassador Hanna Simon presenting her credentials as Permanent Delegate to UNESCO in Paris.